Use front cover pocket to display labels, title pages and pictures to personalise your display book. 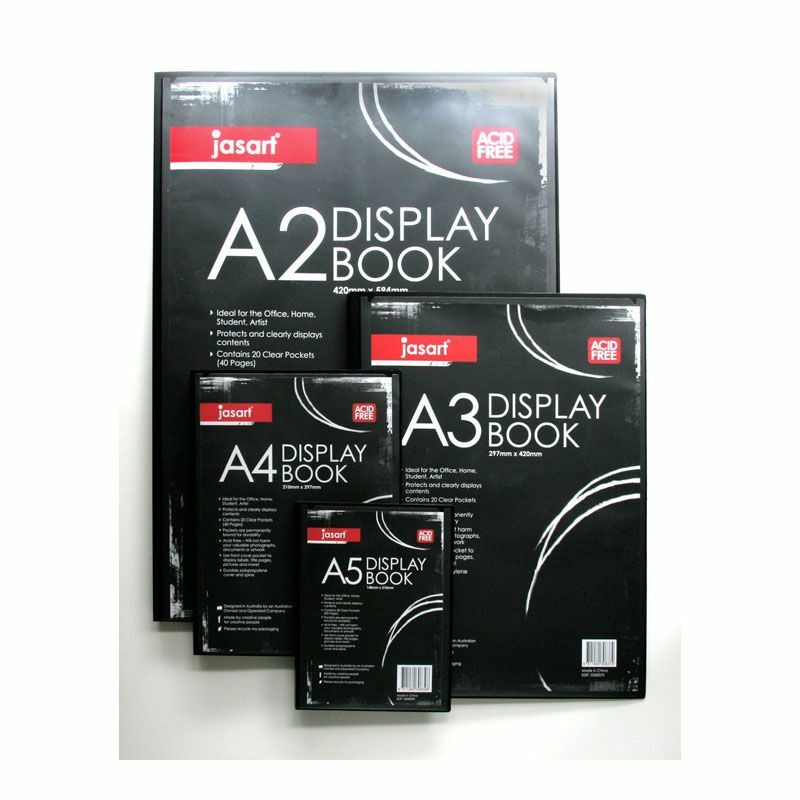 The Jasart Presentation Folder protects and clearly displays contents. Contains 20 clear pockets (40 pages) that are permanently bound for durability. Acid Free ??? will not harm your valuable photographs, documents or artwork. Durable polypropylene cover and spine.